It’s a simple fact of lubricant life: Lubricants do not last forever. Even under the best conditions, a lubricant will eventually degrade over time due to a process known as oxidation — the chemical reaction that takes place between a lubricant and oxygen. It’s an inevitability that ultimately brings the fluid’s useful life to an end. 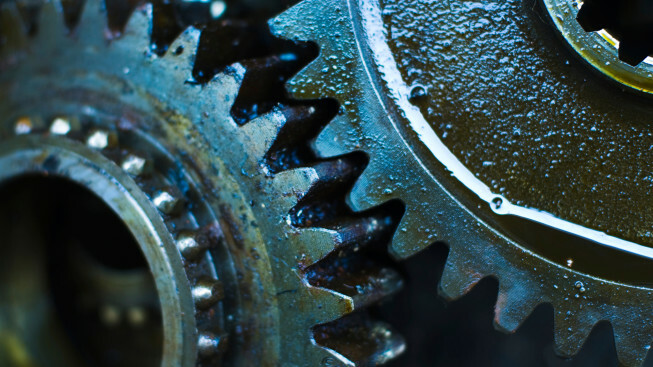 You cannot prevent oxidation, but you can slow its progression, thereby prolonging the service life of your lubricants, reducing maintenance costs and downtime, and providing better protection for equipment. Several of these conditions happen in chain reactions. For example the sludge and varnish produced from oxidation decrease lubricity and plug filters. Sludge causes viscosity to increase. The bottom line: As oxidation degrades the lubricant, it reduces the fluid’s ability to protect equipment against friction and wear. Not only is the service life of the lubricant shortened, but significant equipment damage, and even failure, may result as well. Note: High-quality, highly refined mineral oils and synthetic lubricants are more resistant to oxidation, so it progresses more slowly in these fluids at high temperatures. Maximize the service life of the fluid, saving you money. Extend drain intervals, reducing maintenance costs and downtime. Provide better protection for equipment, reducing costs related to repairs and replacement. Control the storage climate. Protect stored lubricants as much as possible from exposure to extreme or fluctuating temperatures. If possible, store lubricants indoors in a clean, dry, cool location. Keep new oil fresh during change-outs. Make sure dispensing equipment is thoroughly cleaned before each use. Also consider flushing systems during oil changes to remove residual oil. Otherwise, that residual oil will instantly mix with the new oil, jump-starting the oxidation process and shortening the new oil’s service life from the outset. Conduct oil analysis on a regular basis. The expected and actual service life of a lubricant can differ significantly depending on the specific application and operating conditions in which it is used. Through regularly scheduled oil analysis, you can estimate your oil’s service life more accurately and plan oil changes accordingly. You eliminate the guesswork and help ensure optimal equipment protection and lubricant use. Plus, in addition to monitoring the oil’s oxidative state, oil analysis may reveal other issues that may affect the health of the lubricant or equipment. By spotting these issues early, you can address them before they become big problems. Choose the right lubricant for the job. The range of base lubricant formulations available today offers a broad spectrum of oxidative stability. Some base fluids contain significant amounts of aromatics and unsaturated hydrocarbons that are highly reactive to oxygen. Other base fluids are highly resistant to oxidation, even when exposed long-term to extremely high temperatures. 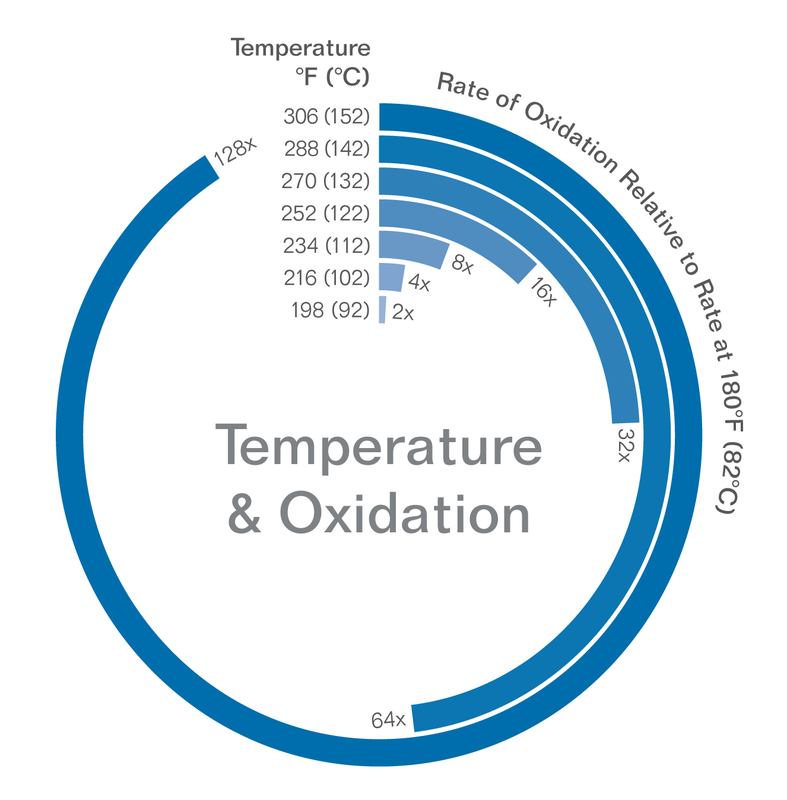 Various additives can help control oxidation as well. For example, antioxidants sacrifice themselves to delay the onset of oxidation in the lubricant. Other types of additives can play an indirect role, helping resist oxidation-promoting conditions. Of course, selecting a lubricant requires examining much more than oxidation-related characteristics. Some lubricants with high resistance to oxidation have properties that are detrimental to certain applications and operating conditions. All properties of a lubricant must be considered to determine the best fit for a particular application and operating environment. Isel provides one of the broadest, most diverse product lines in the lubricant industry. Isel’s state-of-the-art lubricants are expertly formulated and real-world proven to offer you unsurpassed performance, protection and fluid life. Whatever you need, just ask. Our experts will help you identify the right lubricant solution for your specific needs. In addition, Isel offers oil analysis services to all users of Isel-manufactured products. Contact us for more information.